Summary: We are looking for 4 volunteers who have been homeless to be part of a research project exploring how the homeless reduction act is working. Groundswell will provide training and support to volunteers to be researchers on the project. The project will involve travelling to 6 locations across the UK and conducting interviews with people who have been supported by Local Authority Housing Teams. Time commitment: at least one day a week for the next 5 months. How to apply: If you are interested in becoming a Peer Researcher on this project, please read the application pack and fill in the application form at the bottom of the pack. Email your completed form to: recruitment@groundswell.org.uk. If you have any questions about the role please contact Martin Burrows or Rob Edgar from the Groundswell research team on 020 7725 2851. Download the application pack now. Groundswell believes that experience of homelessness is an asset – and that through volunteering that asset can be used to support others who are experiencing homelessness and change policy and services to make them more effective. Volunteering is at the centre of Groundswell’s work. 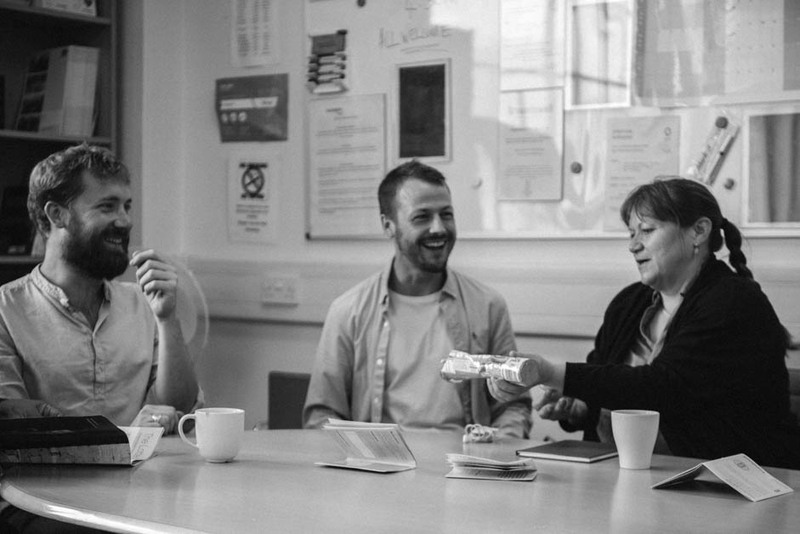 We offer volunteering opportunities to people who have experienced homelessness in the form of Peer Advocacy, Peer Education and Peer Research. All our volunteering opportunities are supported by our Volunteer Progression Programme.